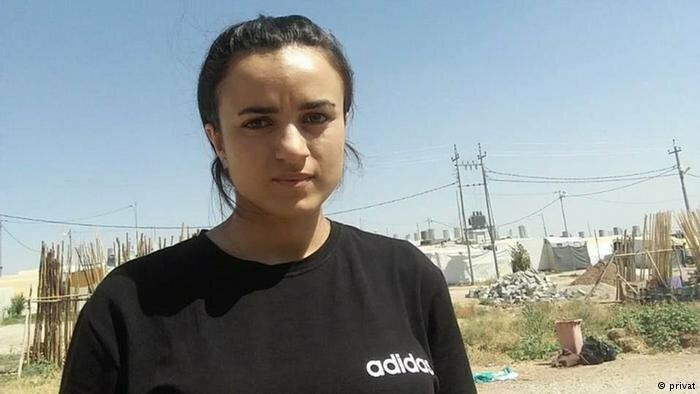 German authorities say they are ready to probe claims by a Yazidi woman that she ran into her former "Islamic State" captor in Germany. They denied reports that they were uninterested in the case. German prosecutors say they are prepared to follow up on claims by a Yazidi refugee woman that she encountered her former "Islamic State" (IS) captor twice in Germany, according to a report by The Associated Press news agency. The AP cited a spokeswoman for federal prosecutors as saying, however, that authorities needed more information to identify him. "The young woman was interviewed but the information wasn't precise enough," Frauke Köhler told the news agency on Saturday, adding that the woman had already left Germany by the time authorities tried to follow up on her claims. The 19-year-old woman, Ashwaq Haji Hami, said that she had reported the second incident to local police in February 2018, but that she left the country after being offered only a number to call in emergencies. Köhler, however, denied suggestions that German prosecutors had failed to take an interest in the case. "If we'd seen an opportunity to arrest someone, we would immediately have done so," she told the AP, adding that "if we get any further information to firm this up, we will pursue this." Köhler however said that the woman would have to return to Germany, which she is legally entitled to do. Police in the southwestern state of Baden-Württemberg said on Wednesday that they did launch an investigation in March, which was taken up by federal prosecutors in June, but that the probe could not progress because the "witness is currently unavailable for questioning." Hami came to Baden-Württemberg in 2015 under a program to assist Yazidi women who had been subjected to violence by the extremist IS group. She said that since her arrival in Germany, she had twice run into an IS man who had kept her as a slave in Iraq for 10 weeks in 2014. She said she was forced to leave Germany after the encounters as she no longer felt safe. She is now living in a camp in Iraqi Kurdistan with her mother and father.